Stephanie Lodge - Is The Ketogenic Diet Right For You? Winner Announced - Who Won The Sugar Detox Prize Pack? Every year we notice an increase in interest for our grass-fed St. Paddy's Day favorites. At the top of that list we have Corned Beef Briskets and Corned Beef Flatiron. We've also heard from those who like to make their own brine for a homemade corned beef. 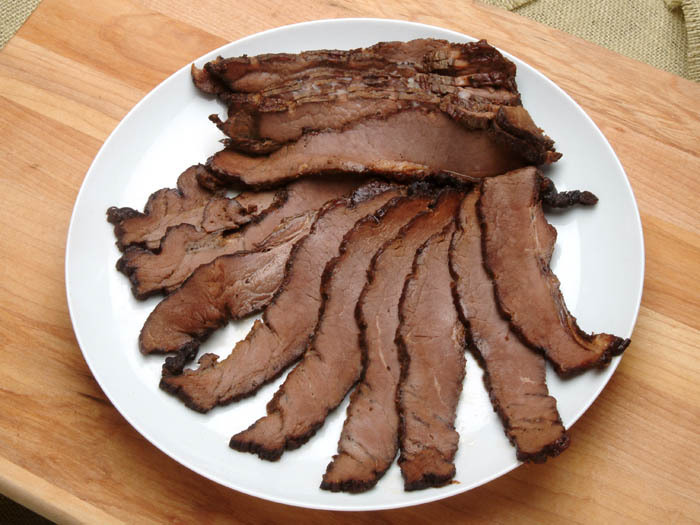 Try our Whole Beef Brisket for your own Irish recipe. Remember to get your order in soon. Scott has some expert ideas for breaking out of a fitness or weight loss slump. Get ready for Spring! Read his article to build on your fat burning efforts and to get through the challenges. Stephanie Lodge | Is The Ketogenic Diet Right For You? Stephanie from the Athlete's Kitchen shares some guidance on choosing a good diet plan. 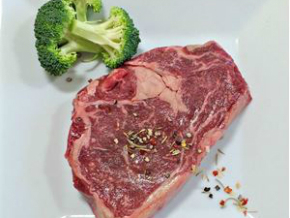 Read more and find out: Is Keto Right For You? We're pleased to introduce two new heritage pork products. 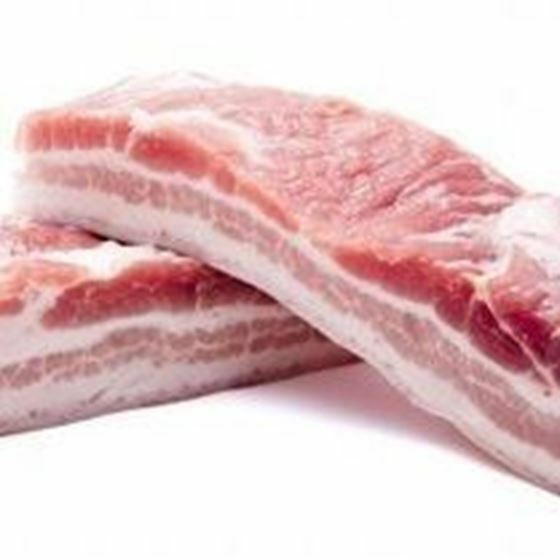 Fresh Skin-On Pork Belly - This has grown in popularity and we know why. The flavor is amazing and it's easy to prepare! Now, you can find it right here at US Wellness Meats. 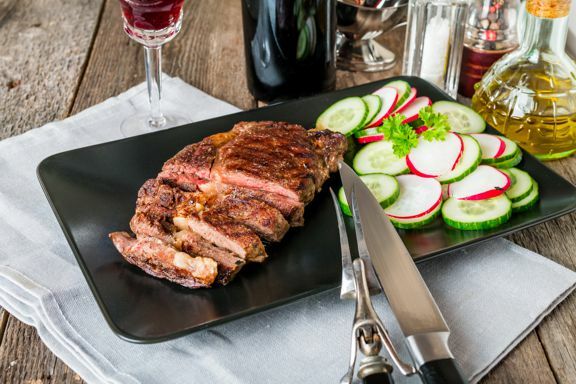 Fresh Pork Ham Steak - Weighing in at around 1.5 lbs, this ham steak is a meal and it is sure to be a family favorite. Did you know USWM also ships Fresh Chilled Beef? We do...once every month! If you haven't tried our fresh chilled beef, now's the time. Place your order before noon (CST) on Friday, March 2nd to ensure shipping on Wednesday, March 7th. Visit our FAQ page for more information. You'll find the US Wellness Meats team this weekend at the Home & Living Show just across the Mississippi River in Quincy, Illinois. We'll be offering free samples and answering questions about sustainable farming & grass-fed meats. If you're in the area, please join us Friday, March 2nd - Sunday, March 4th at the Oakley Lindsay Center. Our thanks to Carley Smith, aka The Fairy Gutmother, for serving this month as USWM Featured Chef. If you haven't met Carley, check out her Q&A page and visit her site for more recipes. Congratulations to Laura K. of Honolulu, Hawaii. Not only does Laura live in a tropical paradise, but she's also going to enjoy a package of US Wellness Meats along with a free copy of The 21-Day Sugar Detox Guide by Diane Sanfilippo. We've partnered up with Kaylie Watson at Nourished Wellness to give away a $100 package of US Wellness Meats and an assortment of her favorite products. You can enter the contest through her Nourished Wellness Instagram page. Hurry, contest ends March 6th! All sale item discounts expire at 10:00 pm CST on Saturday, March 4th, 2018. We are very confused regarding carbohydrate consumption and body fat loss. Some say they are good and most say they are bad. We have done very well with a 0-carb ketogenic plan, but after a few weeks the progress becomes so slow with fat loss. Do we need carbs and how do we use them to keep fat loss going fast? "Restaurant Quality Pork Belly at Home with the Instant Pot!" "I've always loved pork belly, but shied away from making it at home. Traditional recipes take a lot of time (6 hours). Since I've become an Instant Pot devotee, I decided to try my hand at Pork Belly in the Instant Pot. WOW! I added 2 ounces of sherry and 1/2 cup bone broth along with some fresh garlic and spices (smoked paprika). I set the time to 80 minutes and the pressure to HIGH. When the time was just about up, I added a liberal amount of duck fat to a large cast iron pan and put it in a 400 F oven to heat. When the Instant Pot timer went off, I placed the pork belly, fat side down into my preheated duck fat pan and roasted for 30 minutes. I removed it from the pan, sprinkled with some Maldon sea salt and cut into chunks. This pork belly was nothing short of perfection - flavorful, tender, fatty and meaty! Thank you US Wellness Meats!!!" Finding a way to include healthy organ meats into your diet can sometimes be a bit of a challenge. For many, liverwurst is delicious solution to that dilemma. Liverwurst is an amazing superfood that includes a trifecta of organ meats: liver, kidney, and heart. 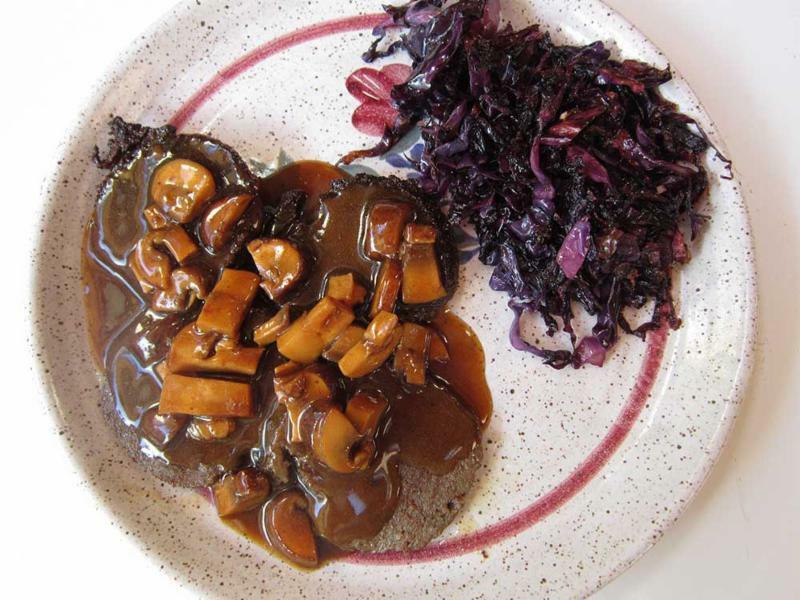 For conservative or picky eaters, this dish from Celeste Longacre makes organ meats much more palatable. Our thanks to Past USWM Featured Chef Celeste Longacre for this tasty fried liverwurst treat. Visit Celeste's site for more recipes and her cookbook, 'Celeste's Garden Delights'. 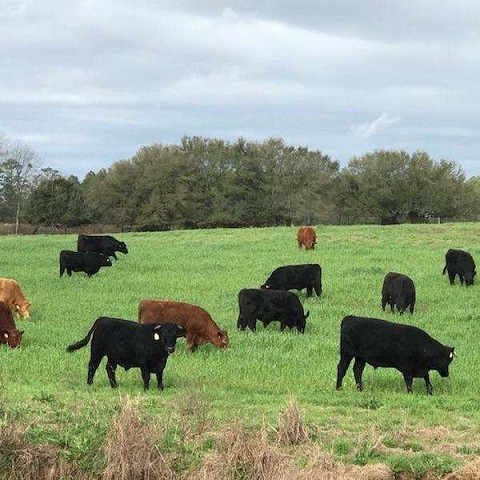 Our cattle are enjoying Utopia conditions along the Gulf Coast. Nearly all heads are down in the active grazing mode. The animal impact in this environment is benefiting billions of critters below the soil surface. Carbon is being stored daily in this unique environment. 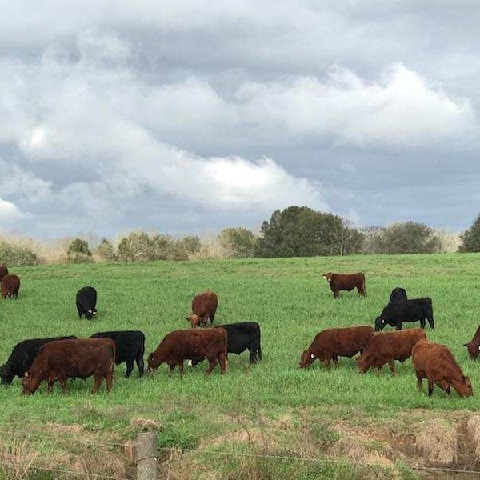 Nearly all of these cattle are contentedly turning sunlight, healthy plants, and healthy soil into nutritious high quality meats. This cycle harkens back to centuries old sustainable farming traditions.